A few weeks ago, at the start of May, I went to a Maryland Educational Technology retreat. 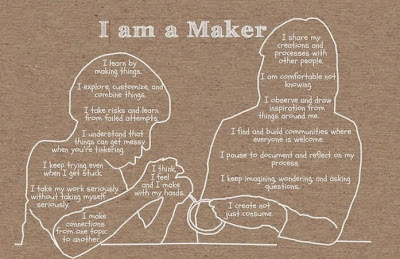 While there, one of the Keynotes, Danielle Martin, shared this image in her presentation which served as a wonderful wrap up to the conference where so much of the focus was on "The Maker Movement." 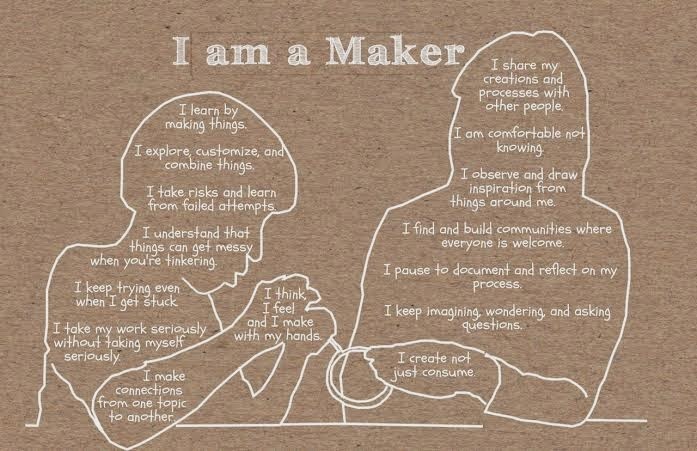 At our school, we are not new to the "Maker Movement," as it has been a theme for our year. We have been inspiring creativity and innovation with STEM & STEAM challenges. Our "Computer Lab" has been transformed with new furniture in invite a more open, new mindset; it is now known as "The Maker Lab." No longer are students merely learning how to format Word documents, create Power Points, and learn keyboarding. Yes, that is a part, but much of that integration is happening in the classroom (and why I have my current position). They are also learning introductory coding, how to create multi-dimensional objects through 123D Design for the 3D printer, and how conductive playdoh works. Yes, these are elementary students. This Earth Day, we combined the Maker Movement with a slice of environmentalism. 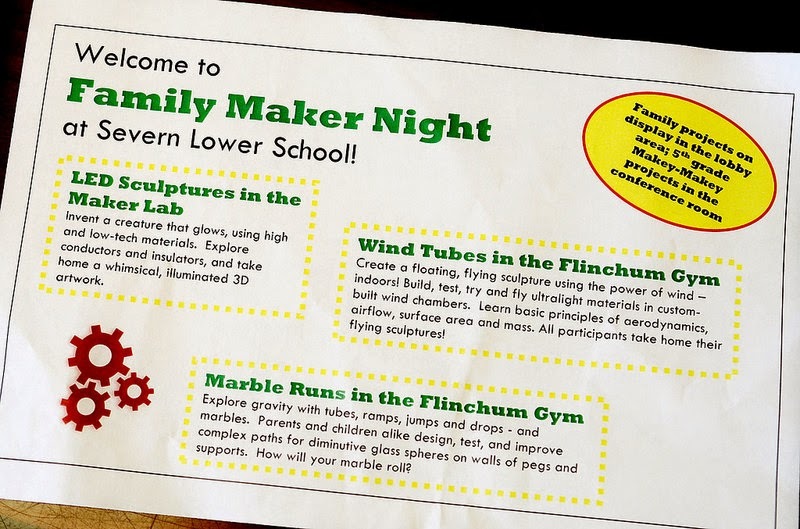 The task put forth to the children was to use the Design Process to create an at-home, "Family Maker Night" creation (as a family team), making something with Earth Day in mind, through creativity and upcycling. Then, students were to bring both their project in as well as their reflection sheet of how their family worked through the challenge. The results? Pretty fabulous. The tables were filled with a sundry of homemade items. Class projects were also displayed: 3rd graders had a table of pioneer settlements. 5th graders created interactive games using MaKey Makeys, where they programmed cardboard creations to perform with the help of laptops & the online programming website Scratch). Kindergartners used iPads & the ReadWriteThink app Timeline to document the Lego building of world structures in the vision of Lego Sculpturist Nathan Sawaya. To get a taste of what Earth Day looked like in our neck of the woods, check out this Smilebox. Additionally, click here for the Flickr Page of even more--78 more--marvelous pictures from our Earth Day Maker Night.